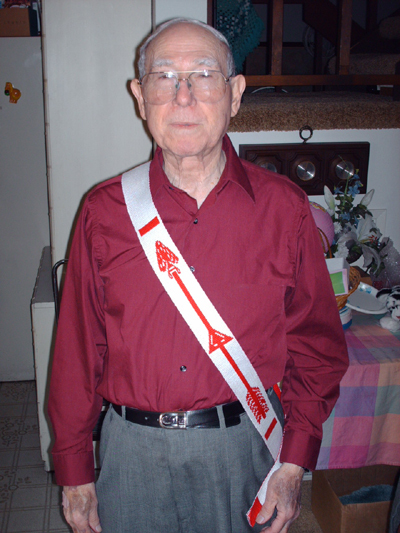 I first learned to do tablet weaving in February of 2008 so that I could create a hand-made sash for my grandfather, as regalia for the Order of the Arrow, Scouting’s National Honor Society. 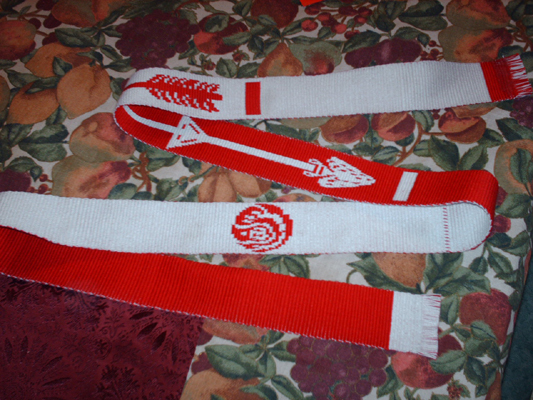 I designed the pattern in 2007, but after a failed initial start on the sash, I modified it. Click here for the modified pattern. 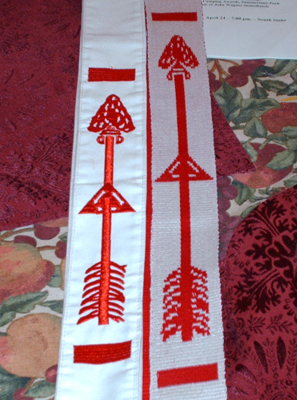 Note: I’ve received a few requests to have a duplicate of this sash made to order. Given the slowness of my efforts, it would cost me ~$900 in man-hours alone to reproduce it. 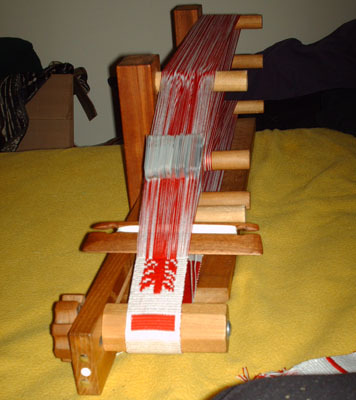 However, for those who still desire a woven sash, my mentors at White Wolf and Phoenix, to whom I owe all of my tabletweaving knowledge to date, have agreed to entertain requests for commission. Their work is top-notch, and because they are faster than I am, their costs are likely to be less than 1/4 of mine. Similar sashes, stoles etc. in their repertoire sell for $100 to $250. Here is their website: http://whitewolfandphoenix.com/ They can be reached via their contact page. 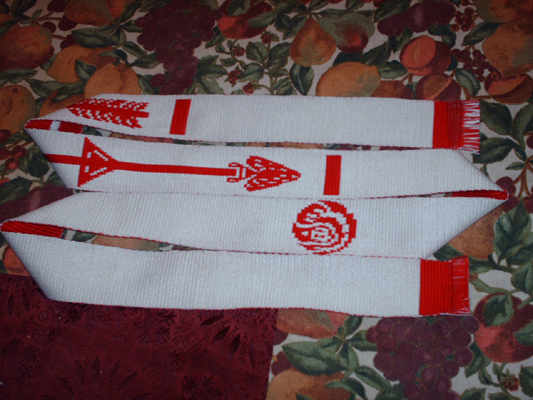 Below are photographs of the sash in progress, completed, compared to the original, and worn by my grandfather.